As a result of the ever-increasing competition, many businesses today are sourcing and procuring from suppliers in low cost countries. Businesses can gain a lot from low cost country sourcing. This includes reduced manufacturing cost, reduced material/overhead cost, advantage of competition amongst existing suppliers, exposure to highly advanced product/process technologies, and it give them the opportunity to establish a presence for sales in a new country. There are many benefits of global sourcing. 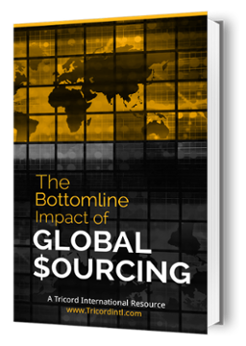 However, businesses can only reap these benefits once they overcome the challenges posed by global sourcing. One such challenge is the logistics of the goods being sourced. In simple terms, logistics is defined as the management of inventory in motion and at rest. An important aspect of logistics is communicating with the supplier and transportation companies for the shipment/transportation of the sourced goods. While negotiating with the supplier is easy, dealing with customs, freight forwarders, and carriers is one hell of a task. This is largely due to the difference in technology, time zones, and language. Another important part of logistics is guaranteeing the security of the goods in transit. It is important to ensure that the goods being sourced do not rot, get misplaced, or stolen in transit. Additionally, you must make sure that the goods are not subjected to any legal issues. As part of your logistics strategy, it is important to ensure optimal transmit times. This will help you reduce inventory and obsolescence risk. Often, businesses that source from low cost countries have lead times of one or two months. As a result of these extensive lead times, businesses are forced to count the goods in transit as assets and incur related inventory carrying costs. Extensive lead times also increase obsolescence risk and offer little flexibility. Finally, extensive lead times can result in quality issues. As a result of the things mentioned above, it is important that you evaluate the overall cost of logistics and not just the transportation/shipment cost. The overall cost of logistics includes the cost of freight, warehousing, recovery, taxes, duties, obsolescence, and the cost of goods in transit. Consider each and every cost associated with logistics for an accurate cost of international sourcing. Once you’ve considered the overall costs associated with global sourcing logistics, it will be time for you to determine who will handle the logistics. This means deciding before you buy offshore whether you want to handle logistics yourself or if you want the supplier to do it for you. You need to lay down the advantages/disadvantages of handling logistics yourself vs. the advantages/disadvantages of letting the supplier do it for you. As mentioned earlier, dealing with customs, freight forwarders, and carriers in low cost countries is a difficult task due to the difference in technology, time zones, and language. Therefore, letting the supplier handle the logistics for you might be a sensible decision. You cannot make your global sourcing successful unless you perform logistics well. In order to perform logistics well, you must evaluate the overall cost of logistics and determine who will handle it before you buy offshore.